Pianos can be broken down into three types of categories. Grand pianos, Upright pianos, and digital pianos. Each of these pianos have their own unique features that are designed for specific pianist’s needs and environments. Upright or vertical pianos are named after the position of the piano’s strings and soundboard. They stand perpendicular to the ground, hence “Upright Piano”. This means that the piano hammers on an upright piano must strike horizontally to hit the vertical strings. The mechanism between pressing a key and a hammer hitting a string is not the same as a grand piano which makes playing an upright piano feel slightly different. Upright pianos have shorter strings, and smaller soundboards than grand pianos. This was actually one of the reasons grand pianos were invented. It is much easier to build a 9 foot long piano, than it is to build a 9 foot tall piano! 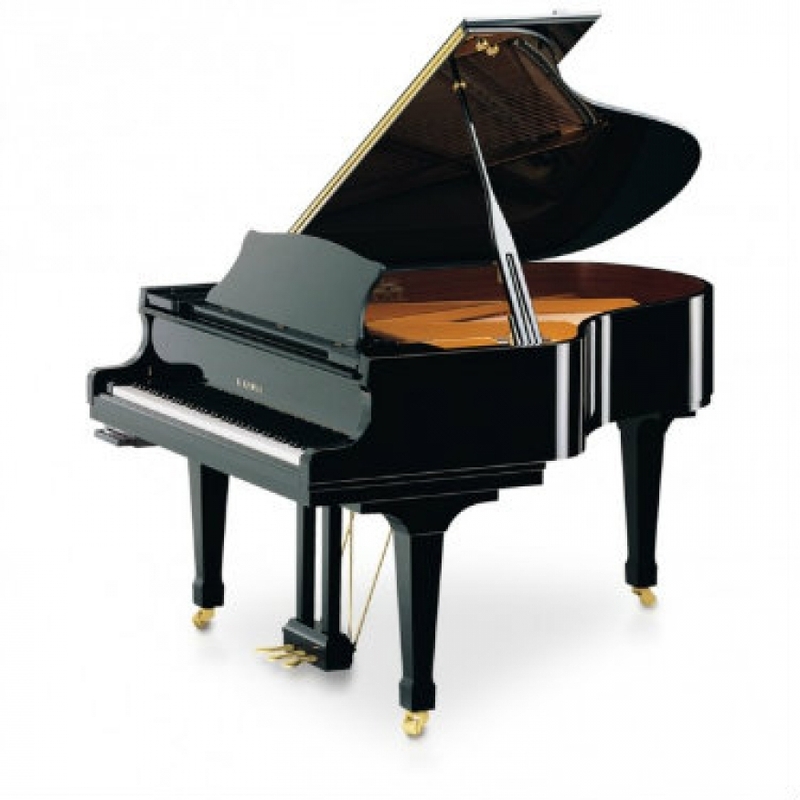 Grands are largest and the most expensive type of piano. Grand piano soundboards are horizontal. This allows for much longer strings, and a greater soundboard area. The action of a grand piano is much different than an upright piano seeing as the strings sit horizontally. The piano can play faster and with more control than an upright due to the hammers being reset by gravity as suppose to a complicated combination of springs. The visible key size is identical across all pianos, but the grand piano key extends far deeper into the piano than an upright. This makes for a longer leaver, giving the pianist more control over dynamics and tone. Digital pianos can sound very similar to uprights and grands, though how they produce their sound is very different. When you press a key on a digital piano, instead of a hammer striking a string, a sensor is activated, and a recording of an acoustic piano is played through a set of speakers. Digital pianos can have multiple recordings or “samples” of each note that can be played back at different volumes depending on how hard or soft you play. Digital pianos can have many different sounds or voices of different kinds of pianos, or instruments. Digital pianos also often have recording features, and play along sequences. Some digital piano models are quite portable, and some can even run off of batteries. A good digital piano will sound, and feel like it’s acoustic siblings. There are some hybrid digital pianos that have started using acoustic parts in their design, blurring the lines between digital and acoustic pianos. This entry was posted in Grand Pianos, Upright Pianos, Pianos, Digital Pianos and tagged baby grand, best piano, digital pianos, grand pianos, Kinds of Pianos, upright pianos.